Welcome to the TAGB Tournamants info page. Please use the links to navigate this part of the TAGB website. 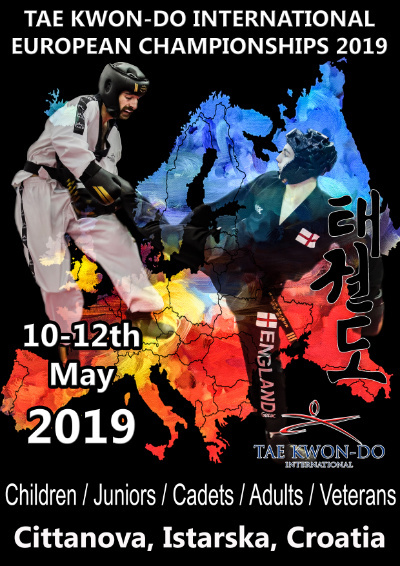 The TAGB host World, International, National and Regional ITF-style Tae Kwon-Do tournaments throughout the year. The TAGB believe that tournaments offer our student membership an ideal platform for demonstrating their skills in competition with others. Not only in individual sparring, but in patterns, destruction and team events.Tournaments offer an ideal opportunity for the student to test his or her skills against opponents of similar experience and physical stature. The TAGB encourage students to participate in tournaments and the student is able to enter on receiving their Yellow Tag belt (with the addition of safety equipment and valid license). Age and ability are no barrier to competing in tournaments as the TAGB offer a range of starting points; from local closed tournaments to Regional championships to Nationals and International events.Our tournaments may be large and busy events, but they are also friendly and safe environments which operate under strict rules covering conduct of competitors and officials alike.We believe that we offer a unique experience and opportunity; our tournaments have some of the best Tae Kwon-Do you can see in the United Kingdom and a large entry giving each competitor the chance to test their skills against different opponents to their usual training partners.In the past, our tournaments have been visited by UK Sport, representatives from other British Tae Kwon-Do Council associations and have been fortunate that Grand Master CK Choi has attended previous British and World Championships events. If you are a TAGB member, talk to your instructor about entering a tournament. Patterns - Considered an event where traditional Tae Kwon-Do is exhibited; patterns are an excellent opportunity to demonstrate your powers of skill, focus and body control in performing Tae Kwon-Do techniques through patterns applicable to your grade. A panel of Officials will score you (9.9 being the highest possible score) in your demonstration of the pattern. You will be expected to repeat the pattern in the event of a tie break for a medal position.1st, 2nd and 3rd placing are recognised for Patterns Events. Team Patterns - As for the individual event. A Team of any number of students may perform a pattern applicable to their grade where the focus is not only on the individual performers, but on the synchronicity of the whole team in the performance.As for the individual event, a panel of Officials will score the demonstration. The team will be expected to repeat the pattern in the event of a tie break for a medal position.1st, 2nd and 3rd placing are recognised for Team Patterns Events. Musical Patterns - A variation of the individual patterns where the performer must demonstrate Tae Kwon-Do techniques set to a piece of music. This event is offered only at World Championships and select closed events. Musical Team Patterns - A variation of the team patterns where the performers must demonstrate Tae Kwon-Do techniques set to a piece of music. This event is not generally offered in the Tournament programme. Sparring - The most dynamic of the events is the semi-contact high energy fighting style that ITF Tae Kwon-Do is renowned for. There are variations of this event offered at TAGB Tournaments. Point Stop Sparring - If you prefer, a form of touch contact sparring where the bout is halted and restarted on every scoring contact. The referee will award points in conjunction with a mirror judge and line judge. Once a fighter has accumulated 10 points the bout is over or if the time for the bout has expired the fighter with the greater score will win. Free Sparring - In semi-contact free sparring the bout is not halted when points are scored but the bout is left (apart from rule infringements) to run its course. Scoring is performed by 4 corner judges and the bout is controlled by a referee on the ring. The winner is determined from the corner judge's scores and in tie breaks post a bout time extension, the Referee. Team Sparring - Team may compete in a number of formats in either point stop or free sparring forms. Please check carefully the format of team events before entering or forming a team and adjust your approach accordingly. For all sparring; 1st, 2nd and 3rd (x2) placing are recognised for Individual Sparring Events. Destruction - An event to demonstrate the competitor's power and skill using either the hand or foot to break specially designed breaking boards. This is a BLACK BELT ONLY event. Only 1st place is given for each destruction category. Demonstrations - During a break in the Tournament there may be demonstrations by TAGB Members or invited demonstration teams from other associations. 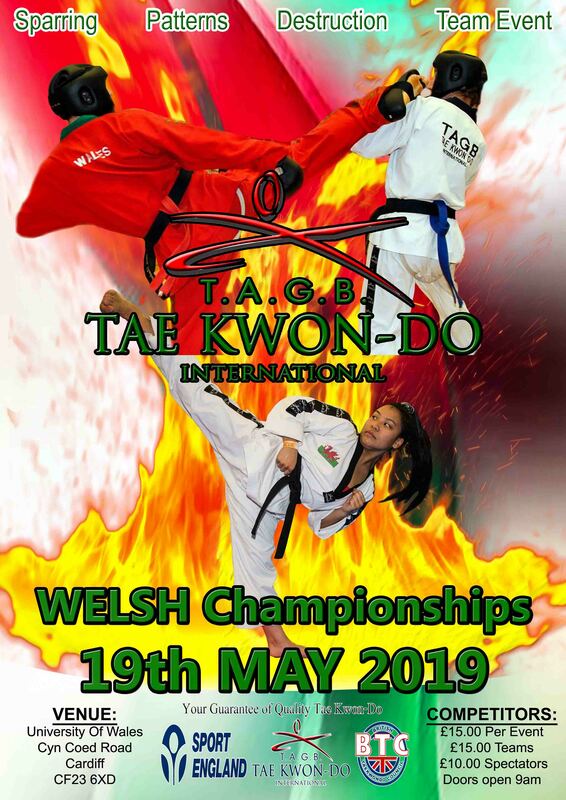 Presentations - During a break in the tournament there will be awards of senior Black Belt grading achievement (4th Dan and above) as well as Grading Awards from the most recent TAGB Black Belt Grading events (any grade). The TAGB National Coach will also recommend awards for Best Fighter, Best Up and Coming Fighter and Best International Fighter.Special awards for service to the TAGB and Tae Kwon-Do International may also be made.